A competitive skier was doing an interview about how he navigated skiing through the trees. Skiing through the trees can be very dangerous. In fact, one of the most common ways that people die when skiing is by hitting a tree. But this guy actually skies into the forest for fun! So, how does he ski through the trees in a safe way? The interviewer asked if he keeps his eyes on the trees as he skies, in order to avoid them. “No,” the skier replied. It turns out that your skis tend to move toward what you focus on. So, if you focus on the trees, you are likely to run into one. 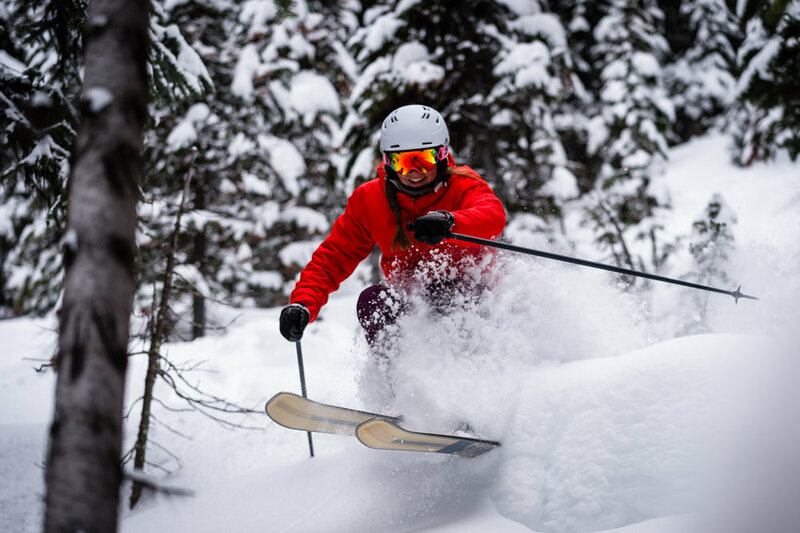 If you want to ski through the trees successfully, you have to focus on the spaces. If you ski for the spaces, you will make it through. I thought this was a great metaphor for life. So often, we get down on ourselves. We focus on our failures and mistakes. We get overwhelmed by our fear and avoid the things that scare us. We get discouraged and focus on our problems. The tough thing is that when we focus on the negative aspects of our lives, we often get more negative stuff. It’s like skiing with your eyes on the trees. Some people are able to find joy in even the most difficult of circumstances. They aren’t blown around by their circumstances like a feather in the wind. They view everything that happens to them as “for them” in some way. They look for the opportunity in their obstacle. They ski for the spaces. What is one thing you are struggling with in your life right now? Is there a way to find something good in the midst of the struggle? Is there a way to experience joy even in this? Where are the spaces in your life right now?